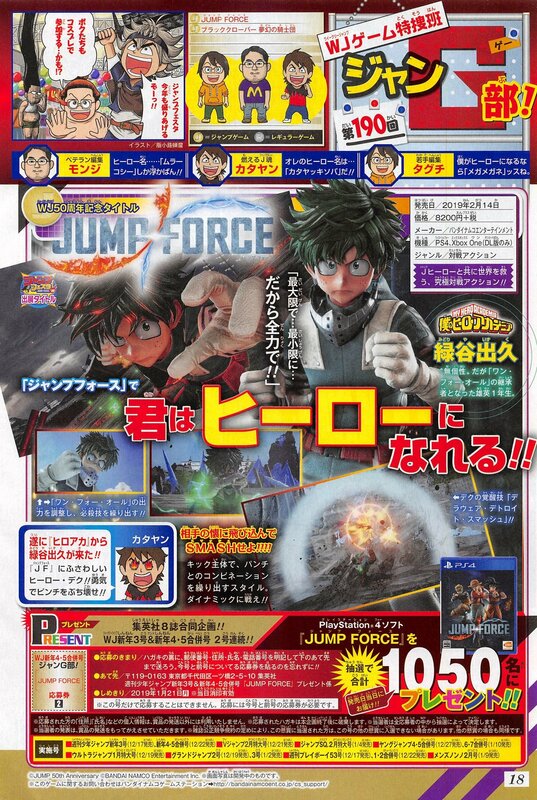 Izuku Midoriya from My Hero Academia will be playable in Jump Force, the latest issue of Weekly Jump reveals. Jump Force is due out for PlayStation 4 and Xbox One on February 14, 2019 in Japan, and PlayStation 4, Xbox One, and PC on February 15, 2019 in the Americas and Europe. Update 8:48 a.m.: Scan added, via @YonkouProd.